The series of Sonic Union concerts and festivals that Tees Music Alliance continue to produce have never failed to be stunning nights of mind-bending music, and this year’s edition of the Sonic Union festival isn’t an exception to the trend. Pixelate is one of the few bands on the bill that I hadn’t heard of or seen previously, and I was in for quite a surprise. The dim, laser-speckled back room of The Sun Inn was occupied by a man donning an LED-covered Viking helmet, his one-man electronica effort mesmerising the few punters that had showed up so early. Next up, another band I hadn’t previously encountered – The Alice Syndrome. The quartet present eerie, Krautrock-esque soundscapes, with the addition of some well-crafted synth. The lack of vocals, bar synthesized robotic ones, further added to the eeriness, so much so that we had to escape to see our first Georgian Theatre band. Velvoir are a band I’ve heard of many a time, but hadn’t seen until tonight. Their brand of glam rock is mostly subtle in its sleaziness; frontwoman Verity is a force to be reckoned with – seamlessly shifting from tribal rain dancing to writhing on the floor. They may not be a band that’ll suit everyone’s taste, but they do have to be seen to be believed, and for me they’re one of the strongest acts in the region. 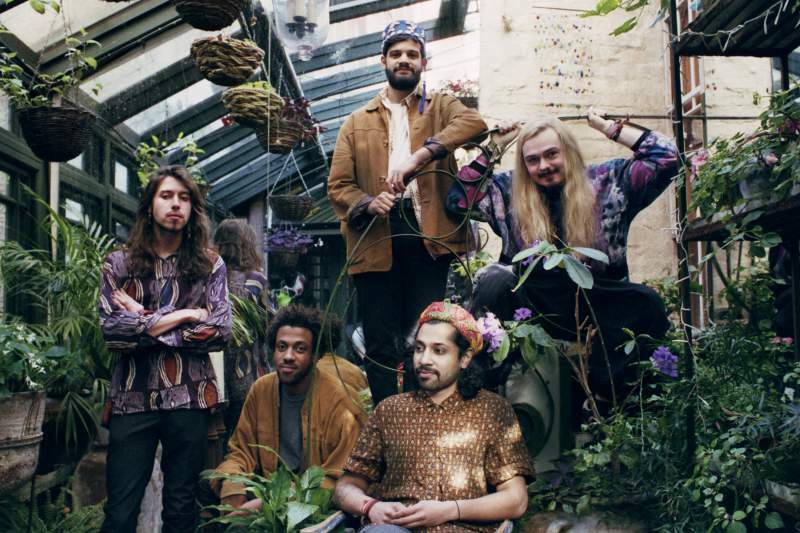 Our headliners for the night are Flamingods. Based in both England and Bahrain, this eccentric quintet offer a perfect fusion of Western and Eastern influences – their history of long, unfurling multi-instrumental jamming sessions is clear. Their sun-drenched psych and inimitable stage presence is the perfect way to end an evening of dazzling music; same time again next year, Tees Music Alliance?